Why Does William & Mary Law School Need My Support? All 3L class gifts and pledges will be directed to the William & Mary Law School Annual Fund or to your requested designation that you can choose. Yearly contributions by dedicated alumni are used to support the School’s most pressing needs—financial aid assistance, faculty support, loan forgiveness programs, and all of the extraordinary programs that sustain a William & Mary Law School experience. Every dollar makes an immediate impact on the School’s students, faculty and programs, as it is spent within that same academic year. Why Support William & Mary Law School? • Academic Excellence and Intimacy are Expensive: William & Mary Law School’s identity and reputation for academic excellence is inextricably bound to its small size, superb students and faculty, and extensive programs. 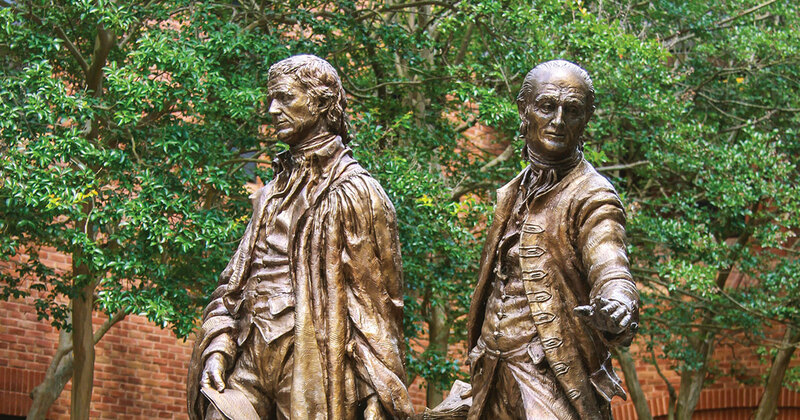 It must be this way, and without alumni support, William & Mary Law School would be faced with three choices, all of them ruinous to its mission: vastly reducing its intellectual ambitions; drastically increasing class sizes; or, quite starkly, increasing tuition. • Compared to most institutions Tuition only covers a portion of the cost of your education. The difference is made up each year by contributions from alumni who give to keep William & Mary Law School what it is and help make your education possible. Now is your opportunity to do the same for the students of tomorrow. • The Law School draws on revenue from three main sources: tuition, income from endowment, and gifts for current use. • William & Mary Law School needs tremendous financial resources to produce talented graduates, to remain competitive and attractive to today’s brightest students and to do all that it aspires to do each and every year.